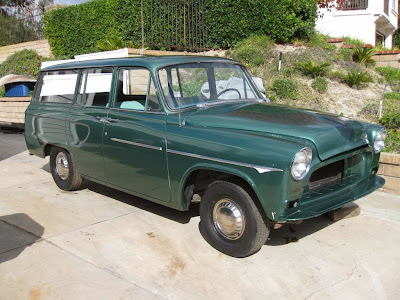 Just A Car Geek: 1962 Toyopet 4 Door Crown Custom Wagon - Have You Ever Seen One? 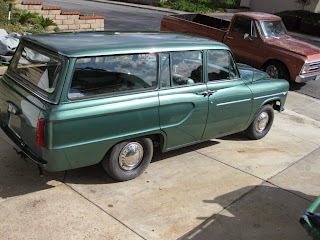 1962 Toyopet 4 Door Crown Custom Wagon - Have You Ever Seen One? Now, this is cool. The seller says that it may be the "only 1962 Toyopet Crown Custom wagon in existence." I don't know about that (Bring A Trailer featured a 1960 station wagon a few months ago), but it is certainly rare. 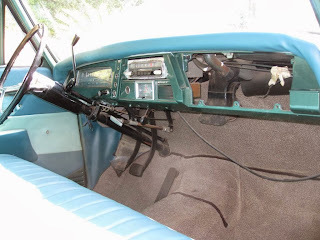 The Toyopet Crown was a failure in the US. Overweight and underpowered, they could not be driven at high speeds for extended periods of time without the engine failing. Toyota claims to have sold 1,913 Crowns between 1958 and 1960, the only years it was officially imported. Other sites claim that less than 1000 were sold. Toyota learned its lesson from the Toyopet Crown. The chairman of Toyota was quoted as saying "this bitter experience (of the Toyopet Crown) helped us work that much harder afterward to build cars that were right for the U.S. market." True enough. Many Toyopet Crowns remained unsold on the dealers lots. I suspect this is not a 1962 model year car, but an earlier one that didn't sell until 1962. Much of the tough work has been done to this car. It was painted awhile ago, and while not perfect, it looks good. The seller claims that the engine and transmission were rebuilt and that the car runs good. Really, all that's left to do is put it back together. There are a few pieces missing, some of which can be fabricated. The ones that can't be fabricated can probably be found in Japan. I wouldn't recommend a Toyopet Crown as an everyday driver, but as a cool piece of Japanese car history, this car can't be beat. I hope the person who buys this understates that and restores it to its original condition. I would suggest that if the parts aren't here (or another export market), they don't exist. 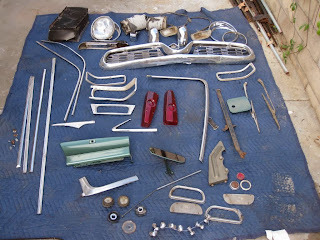 As poorly as they sold here, remember that cars in Japan are and have been scrapped at very early ages (so as to avoid the very costly inspections required of older cars). I think it'd be safe to assume that if it doesn't come with, you're going to have to make it. Good thing we've got 3D printers now.